Wolverine Fireworks Display, Inc. is a direct importer, wholesaler, and display fireworks company located in central Michigan servicing the greater mid-west section of the United States. 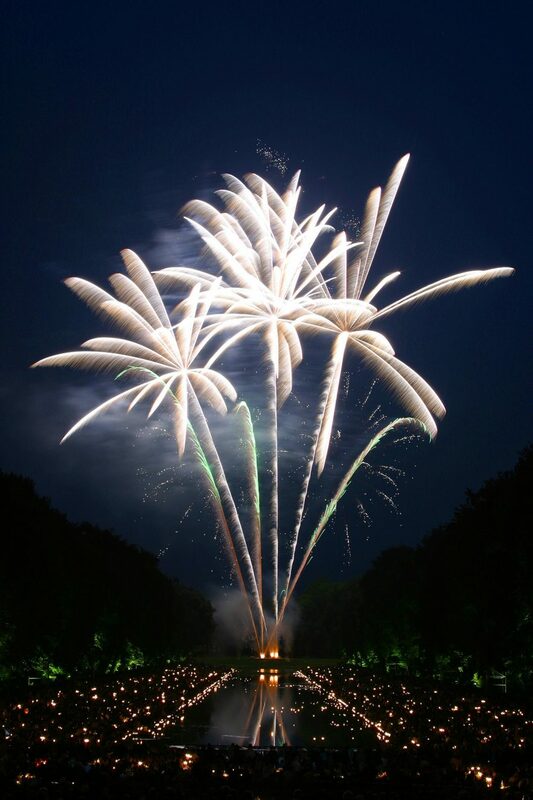 We shoot hundreds of shows per year, and supply most other major fireworks companies with their products. In addition to importing the U.S. Designers ™ Brand (our exclusive line of patented display fireworks) we also stock more than 2,000 different types of shells and pyrotechnic devices, such as Hanabi which are known to be the best in the industry. There are thousands of different display shell colors and effects in various sizes. This assures you have a wide variety of effects in your show that other companies are not able to offer. Because we are one of the top importers of display fireworks from China, our buying power enables us to buy in volume and receive large discounts that are passed onto our customers. We are able to simulate your exact show to your unique setting, giving you a realistic portrayal of the show you are purchasing. In addition we offer a comprehensive fundraising assistance program to help with your fundraising needs. Wolverine will work with you extensively from beginning to end to ensure you have personnel with experience in dealing with permits, applications, insurance, and everything else that is involved in putting on a pyrotechnic show. Wolverine Fireworks Display, Inc. is a Michigan-based fireworks display company which has been in business since 1979 and has been growing ever since. Wolverine does or has done business with all of the United States including Puerto Rico. Starting as a small company with owners James Lambert and Allan Streu in Bay City, Michigan, Wolverine has grown strides in becoming one of the largest importers of display fireworks and shooting some of the biggest displays in Michigan and the United States. After outgrowing its office in Bay City, Wolverine moved its main office to Kawkawlin, Michigan. In the past few years Wolverine has had the privilege of shooting the grand public displays for the Pyrotechnic Guild and the National Fireworks Association. These were large scale displays choreographed precisely to music to give the audience an emotional experience rather than just a visual show. Wolverine is a company which also prides itself in not forgetting its roots. Smaller scale fireworks shows and smaller budget weddings and festivals still account for a great deal of the over 200 shows that Wolverine shoots every year. Whether it is a grand choreographed fireworks display or something a little smaller, Wolverine can provide the best show for your event.